I am goint to take my mach 1 to the junior college and have the front end aligned. 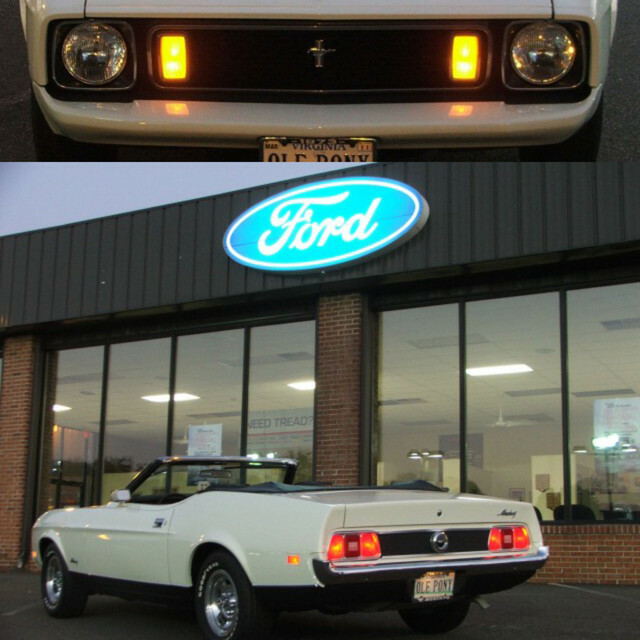 Does anyone know the specs on a '71 mach 1. I am doing this for a class project. Most of the cars there are newer ones. coilwire;28126 Wrote: I am goint to take my mach 1 to the junior college and have the front end aligned. Does anyone know the specs on a '71 mach 1. I am doing this for a class project. Most of the cars there are newer ones. These are not the factory specs. Thanks Fatback,Tommyk, These should help. I had checked the alldata web site while at school on Thursday but they only went back to '86. .5 neg - Camber , this is more aggressive handling. i don't put many miles on the car a year so i'm not too concerned about tire wear. 0 of camber is the standard. 2 deg. positive caster, which may of been a touch too much. too much caster will show up as some vibration over 55mph, basically you want as much caster as the car will tolerate. some cars have issues with tires rubbing or hitting underneath the fender when turning. Too much Caster can result in high speed vibration. every car is different, after driving mine for a while i want to try 1.5 to 1.75 pos caster and see what effect it has. I had 1 deg positive caster before and it was pretty good but i wanted to see if the car could tolerate more. My 1971 shop manual Volume One Chassis page 14-01-08 lists the Mustang, Cougar as Caster -1 to +1 D, Camber as 0 to +1 1/2 D, Toe as 1/16 to 5/16 inches. Careful old book list the alignment based on polybias tires, these are very different from modern radial tires. 72HCODE;28276 Wrote: Careful old book list the alignment based on polybias tires, these are very different from modern radial tires. Thats interesting! I remember seeing a Marti report here where the Mustang came with radials. I don't remember whose car or what year it was, but it would be interesting to know if there were different alignment specs published by Ford for the radials. Excellent Observation! Well Done. Just like when you add air to your tires, you always go by the door sticker and not the tire manufacturer. But, the door sticker is for a bias tire and not radial. So you adjust the door value accordingly, right? The difference is that the bias tire's contact patch will "stretch" at speed and moves toward the rear of the car. This creates "virtual" caster and stabilizes the steering. Radial tires do not do this so you need to increase the caster in the positive to compensate or the car will be unstable and squirrely at speed..